The characters in the explosively popular Angry Birds game are recognizable by their colors. What if you can give them a different color with just the swipe of a finger? Like turn the green piggies orange instead? This application allows you to do just that. 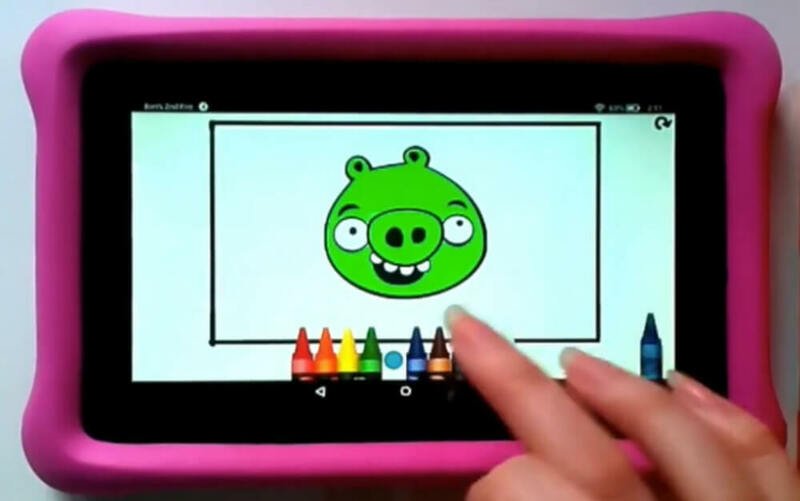 It lets you pick a color by tapping on the crayons on the screen, and you can then simply color in your favorite characters by swiping across the screen. It’s a very simple concept, but it can be a nice activity for young kids to get immersed in something creative and fun at the same time.